There�s obviously a law in Texas that requires people to drive a pickup truck of some kind. It�s a given that Texans and trucks go together like chili and beer, but on the roads around Dallas and Fort Worth, trucks seem to out-number conventional sedans and SUVs ten to one, and economy cars are just about nonexistent. No surprise then that Ford decided to launch its 2011 F-150 line-up at the Texas Motor Speedway, home to one of the biggest NASCAR tracks in the country. About the only things Texans love more than their trucks is NASCAR, and the speedway dominates the landscape for miles. But for 2011, Ford�s emphasis for the F-150 is not big thumping V8 engines – at least, not primarily – but more the application of technology to provide maximum performance with decent fuel economy. 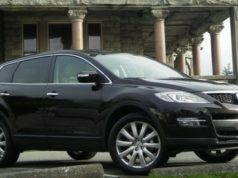 These days, people want to drive their trucks without spending more time at the pumps than they have to, and Ford�s "premium" engine for 2011 is a turbocharged V6. "Fuel economy is the number one unmet customer need for truck owners," said Ford�s executive director of North American product program, Frank Davis, at the Texas launch. "And by 2013, our EcoBoost powerplant will be available on 90 per cent of our products." What is EcoBoost? In a nutshell, it�s a turbocharged V6 engine that supplies a remarkable amount of power while returning competitive fuel economy into the bargain. Usually, when a truck manufacturer introduces a new full-size model line, fuel economy is the last thing they�re concerned about, and issues like towing capacity, torque output, and payload tend to take centre stage. These things were mentioned at the launch, certainly, but Ford also had a fuel economy contest, where journalists were encouraged to shoot for the lowest fuel consumption they could muster. The winner managed to consume just 8.4 L/100 km over the short road course. True, guys were driving like blind grannies, folding the rear-view mirrors into the body, opening the tail-gate and drafting in behind other vehicles wherever possible, but still, it shows where Ford�s corporate head is at these days. "Over 70 per cent of our customers put fuel economy as the number one requirement on their shopping list," adds Doug Scott, Ford�s truck division manager. And it doesn�t seem to be at the expense of performance. Another exercise Ford had for us was a good old-fashioned drag race: line up at the "Christmas tree" wait for the green light and hit it. The EcoBoost V6 was up against a Dodge Ram with a 5.7 litre Hemi V8, and a Chevy Silverado with a 5.3 liter V8, and to put it bluntly, blew the doors off these two. Although it may have lacked the off-the-line jump of the Hemi, it caught both trucks time after time halfway down the 1/8 mile strip. A little bit about the EcoBoost powerplant. Essentially, this engine started life in the Edge and Taurus, and is the same unit found in the base Mustang, but with numerous internal modifications, of course. It displaces 3.5 litres and has two turbochargers ….one for each bank of cylinders. According to Ford, this evens out the turbo boost and makes for more efficient cylinder combustion and power delivery. It also gives this particular V6 a massive shot in the arm in terms of power: 365 horsepower and 420 foot-pounds of torque…..this is from a V6, mind. In real terms, it means that the F-150, in whatever form you choose, has a V6 that thinks it�s a V8. It can tow up to 5126 kilograms, and gives the F-150 a maximum payload of 1388 kilos. In Texas, we also towed a double-axle, 4400-kilogram trailer around just for fun, and on the highway, it�s a match for most V8 engines…..especially when it comes to on-ramp acceleration. Only time will tell how it stands up over the long run, but as it sits now, the EcoBoost is the new dog in town and joins the 5.0 and 6.2 litre V8s and a normally-aspirated 3.7 litre V6 in the F-150 line-up. This latter engine the tamer version of the EcoBoost, but even so, it develops 302 horsepower, making it far and away the most powerful V6 in the full-size truck market. A few other highlights from the 2011 Ford F-150 line-up. – New electronically-controlled power steering with a "nibble compensator". This essentially helps the steering re-adjust itself when the camber of the road surface has an uneven grade or the tires have gone out of balance. If the road slopes down to the left, for example, it will compensate and help prevent the vehicle from pulling to the left. – Six-speed automatic transmission with a manual shift mode and a feature that allows the driver to "lock out" other gears while in Drive. If you want to have four speeds, for example, this will readjust the gear ratios accordingly. – New instrument cluster with an available LCD display that will show things like current fuel consumption, transmission temperature, and tire pressure as well as allowing the driver to adjust the back-up rear camera. – MyKey. This allows the driver to program the car to change its top speed and stereo volume, while activating a seat belt reminder and various speed alert chimes. If you�re worried about Junior boosting the truck while you�re away on holiday, this will take all the fun out of it for him. Also found in the Mustang. Ford is pretty serious about the F-150. 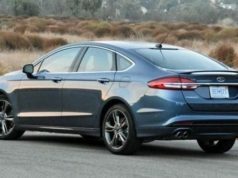 After all, it has been the best-selling vehicle in North America for most of the past 33 years, and is, in Ford�s own words, "the heart and soul of the company." Fuel economy (litres/ 100 km): Regular fuel. 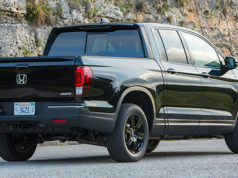 Alternatives: Chevy Silverado 1500, Dodge Ram 1500, Toyota Tundra.